Broadcasters need to start installing 1080p50 infrastructure now, EBU Project Manager, Hans Hoffman, told the recent HD Masters conference, writes David Fox. He believes that broadcasters need to invest now as “the window of opportunity is closing,” because once the current round of upgrades to HD are finished, investment cycles mean that it could be some time before there is an opportunity to upgrade further, particularly as the most important consideration is making the core infrastructure 3Gbps-capable. As yet, very few European broadcasters have moved to all-HD production.  In a survey last month by the EBU of 53 broadcasters, just one of 37 who answered the question stated that it had migrated its production facility to HDTV. A further 20 (54%) have partially migrated, while 12 (32%) plan to start in the next couple of years, and four (11%) currently have no plans, which means that there is still the opportunity to move direct to a 1080p50 infrastructure. Of the 29 that answered the question “What production format do you use today for HDTV?”, only one uses 1080p50 for programme production; 22 use 1080i25, 12 use 720p50 and six use 1080p24 or 25 for film-style production (obviously some broadcasters use more than one format). Two broadcasters are currently considering using 1080p50 as their HD distribution format; 12 use or plan to use 1080i25, and 16 use or plan to use 720p50 (the format currently recommended as giving the best quality for the lowest bitrate by the EBU). “The production and emission formats do not have to be coupled,” said Hoffman. 1080P50 production works very well with 720p50 or 1080i25 transmission. It will mean just one format to handle for production, and it can be easily down-converted to deliver multiple variations. If 1080p50 is used for transmission it “provides better quality at reasonable bitrates. You do not need higher bitrates than 1080i,” he stated. Indeed, EBU testing has shown that users could get the same perceived quality at lower bitrates. BskyB already has some 1080p50-ready infrastructure, but it is still complex technology, said Chris Johns, chief engineer, Broadcast Strategy, BskyB and a member of the DTG group looking at 1080p50. Besides the demands of higher data rates, there are “very few pieces of high-end kit that can be utilised now.” However, provided the costs of suitable equipment aren’t too high, he feels it might pay for itself. “If you can compress in a more efficient way, you can put more channels on a transponder or multiplex and recoup the costs that way.” Merely not having to produce in interlaced and then de-interlace and re-interlace will make it easier to deliver clean pictures to encoding. “1080p50 means there is no need for debate over which format is better for sport or drama. The tricky bit is how you make the business case for it,” said David Carr, operations director, Peel Media, which is currently building Media City UK in Manchester, where the BBC will have its main centre outside London. “We do think [1080p50] is the best of both worlds and will become the standard, but it is not a priority yet,” said Luk Overmeire, technology expert, VRT MediaLab, which has chosen 720p50 as its preferred format, but also uses 1080i25. The main technological barriers to moving quickly to 1080p50 are the lack of suitable sensors on affordable cameras, issues with Dolby E, switching, and synchronisation and timing (which a joint EBU/SMPTE taskforce has been set up to resolve). But “the most worrying thing is the IT chain,” said Hoffman, where he believes that advancements like Panasonic’s AVC-Ultra could have a big impact, as there needs to be a 200+ Mbps I-frame codec in place to enable mainstream IT-based production. “We have too many compression formats, and we would like to see a limit,” maybe to two or three. There are also issues about the bitrate needed for contribution links and a need for suitable codecs. However, demand for 3G equipment is rising. About 30% of what Gennum sells now is already 3G. “All of our customers are very committed to 1080p50 and are making a 1080p version of everything they make,” said Nigel Seth-Smith, Gennum’s project definition specialist. Of course, there are also economic issues. “The price tag for any systems proposed has to be right,” said Hoffman, otherwise 1080p50 will have a negligible impact. Also, getting consumers to pay to upgrade for 1080p50 transmission might be a problem. “It has to look a lot better for the consumer to buy it,” said Johns. “If it is well made and if you have a big screen [at least 47 inches diagonal], you can definitely show a difference, even at 4H distance,” said Hoffman, but it will require a new set-top box or receiver. He believes that the advent of 3DTV services could also drive adoption of 1080p50.